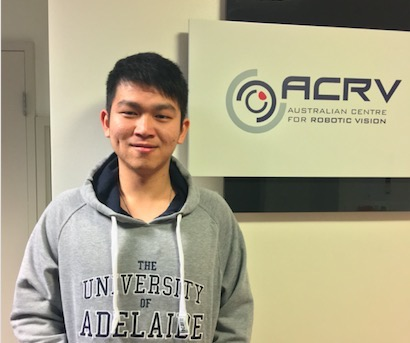 I am a Ph.D. Student at the University of Adelaide and affiliated with the Australian Centre for Robotic Vision. I am advised by Prof. Ian Reid and Prof. Gustavo Carneiro. My research interests include deep learning and its application in robotic vision. Previously, I received my B.Eng degree in Electronic Engineering (first class honors) from The Chinese University of Hong Kong (CUHK), where I was advised by Prof. Xiaogang Wang. Also, I was a visiting student in the Unmanned Systems Research Group at The National University of Singapore, where I worked with Prof. Ben M. Chen.